It’s traditional for modern bands to split up, only to re-form a decade or so later. But when this Gothenburg quartet announced “Graveyard is closed” in September 2016 and then reopened for business in January 2017, their reunion somehow didn’t have the usual impact. 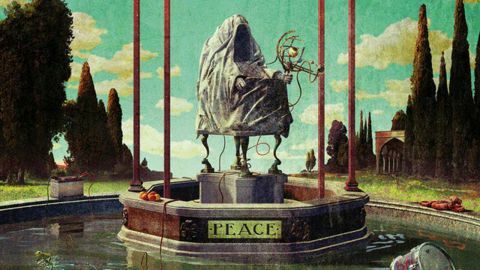 Thankfully, their fifth longplayer suggests the break, however brief, was worthwhile, as they sound heavier than ever yet also more sonically diverse. The aptly titled It Ain’t Over Yet and A Sign Of Peace bristle with viscerally ferocious intent, as Joakim Nilsson howls like an undead Ronnie Dio. Please Don’t then adds baroque organ to the mix, creating further glimpses of Rainbow amid the stoner rock clouds. See The Day, though, is a disarmingly floaty lament decorated by sun-dappled guitar licks and trippy waves of percussion, while Del Manic reminds you of the rockabilly croon and twang of Richard Hawley, before the bile rises in Nilsson’s throat again and the demons reappear. Graveyard guides the listener through an ever-changing musical landscape filled with their trademark take on classic rock. From the opening track͛s blistering declaration that is It Ain't Over Yet to the final note of heart beating bass on the epic and moody rocker Low (I Wouldn't Mind) the band manage to squeeze out every last creative drop of what there is to know, hear and love about Graveyard in 2018.